An Evening to Bring Back Hope on June 8 raised almost $2 million for the work of Dr. Rick Hodes, medical director of Ethiopia for the American Jewish Joint Distribution Committee (JDC) and senior consultant at Mother Teresa Mission; spine surgeon Dr. Oheneba Boachie-Adjei, president and founder of FOCOS (Foundation of Orthopedics and Complex Spine) in Ghana; and the University of British Columbia Branch for International Surgical Care. The evening at Vancouver Convention Centre-East began with remarks from representatives of the three main religious communities in attendance: Jewish, Christian and Muslim. 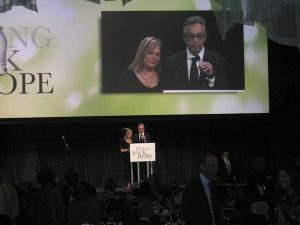 A two-minute video that was introduced by Justin Segal – son of gala co-chairs Gary and Nanci Segal – and Tesfaye Anagaw – who has become a part of the Segal family – showed the many things that had been accomplished with the funds raised at the previous Evening to Bring Back Hope, which took place in 2012. There were greetings from senior representatives of JDC, Jewish Federation of Greater Vancouver and the UBC Branch, as well as an onstage interview by Peter Legge of Hodes and Boachie-Adjei, with many stories about the courage of their patients. 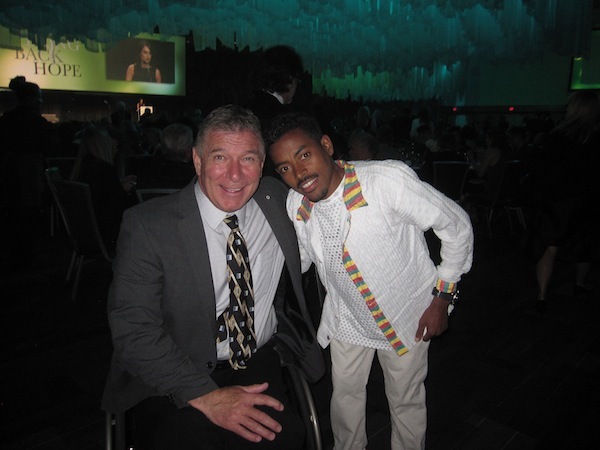 Gary Segal spoke about how he was inspired to help by Anagaw, Hodes and Boachie-Adjei. He met first met Hodes as part of a 2007 Federation/JDC trip to Ethiopia, where he learned that Anagaw’s spine had collapsed from tuberculosis and could not be operated on in Ghana. With the help of the Segals and others, the young man, then 18, arrived here in mid-2009 and received the life-saving surgery he needed at Vancouver General Hospital. 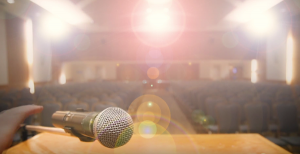 The story of Mesfin Yanna, one of Hodes’ heart patients, was told through a video and the reading of an essay he wrote for his high school graduation in Atlanta – these were followed by his appearance onstage, holding his 5-year-old son. “This is a man who would have died twice were it not for Rick but has gone onto a productive life and one of giving back,” said Segal after the event. Both Hodes (with three of his adopted sons) and Anagaw came to Vancouver from Ethiopia for the event, and stayed for a visit. All Masha Shumatskaya wants is for the fighting to stop so she can go home. 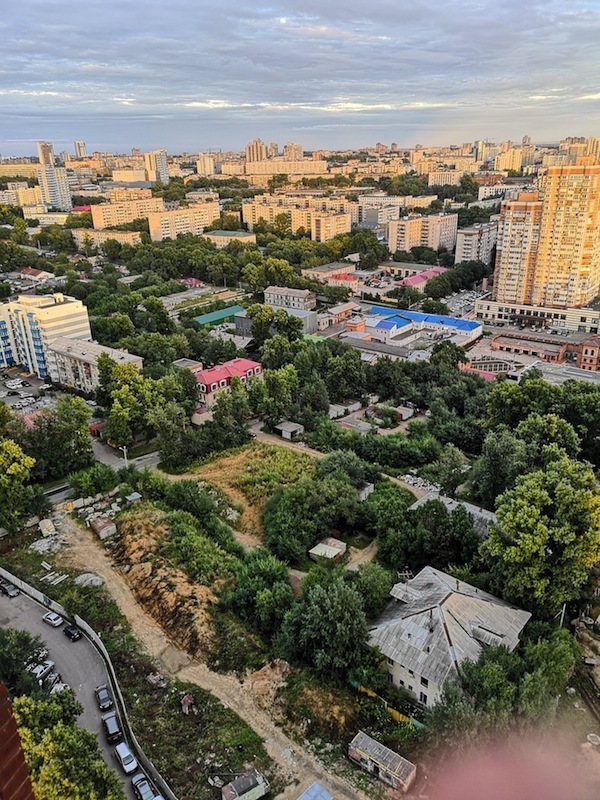 The 24-year-old Jewish Ukrainian English teacher was living and working happily in the city of Donetsk until April 2014, when pro-Russian separatists arrived two hours north of her hometown and declared their intention to form a people’s republic. By May 2014, the pro-Russian separatists had moved into Donetsk and were threatening the safety of civilians. They bombed the Donetsk airport and the violence forced the closure of many schools and business offices in the city. Shumatskaya and her friends began making plans to move to other cities in Ukraine, such as Kiev, Odessa and Kharkov. She chose Kharkov, five hours’ drive from Donetsk, leaving her parents behind. But Shumatskaya is one of the lucky ones. 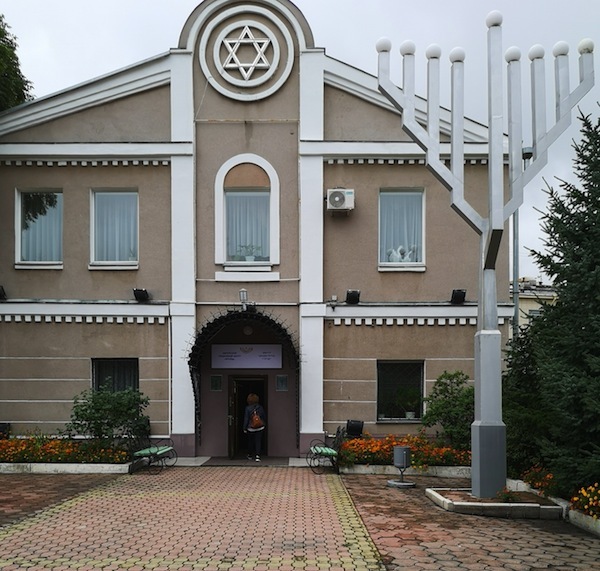 There are some 7,000 Jews still living in the war zone in Ukraine, many of them elderly. They’re dependent on the Joint Distribution Committee’s aid for food, medical support, rental subsidies and basic necessities. Shumatskaya was in Vancouver recently as a guest of JDC, where she met with Jewish Federation of Greater Vancouver representatives and media to tell her story. With her was Michael Novick, executive director of the American Jewish JDC in Bellevue, Wash. “The situation in Ukraine has become a high priority for the JDC,” he said. “It’s not just the Jews, mostly elderly, still living in the conflict zone, but also the 2,500 Jews who’ve fled and need assistance, and another 60,000 Jews we’ve been helping all along with basic humanitarian supplies.” The JDC estimates the cost of its monthly relief for these Jews to be more than $387,000 US. Shumatskaya’s 10-day visit to North America included stops in Seattle, Vancouver, Los Angeles, Philadelphia and New York. Last year, JFGV made a $25,000 grant to JDC for its various programs. Her message to Vancouver’s Jewish community is twofold: a reminder that Jews are responsible for each other, and one of gratitude for the support she and her fellow Ukrainian Jews have all ready received. When community lay leaders Michael and Phyllis Moscovich were planning their most recent mission trip, they never imagined discovering Jewish ties to former Cuban president Fidel Castro, and the vibrant community that exists on the island. Michael, a committed volunteer with Jewish Federation and a board member for several years, is currently a member of Federation’s Israel and overseas affairs committee, as well as its Partnership2Gether committee. He and Phyllis also jointly chair the Ethiopian students internship program. The couple’s shared passion for travel and interest in Jewry across the Diaspora has motivated them to participate in nine previous Federation missions. Last October, they participated in their first American Jewish Joint Distribution Committee (JDC) mission to Havana, with a group of like-minded community members from North Carolina. “I wanted to see Cuba before the regime changed and am always interested in Jewish communities elsewhere,” explained Michael. JDC missions provide participants with a highly personal perspective on daily life for Jews and others in more than 70 countries in which JDC operates. 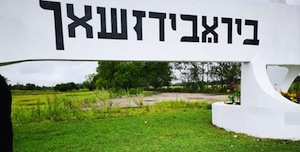 JDC’s re-entry into Cuba in 1991 has sparked a Jewish resurgence on the island and a growing awareness of the community and its rich history. As it does elsewhere across the globe, JDC, in partnership with the local community, provides assistance to Cuba’s Jews, develops Jewish leaders and has prompted a revitalization of Jewish life. Working with JDC, the community has established a Jewish summer camp, adult education, an Israeli dance festival and communal holiday celebrations. One of the more surprising revelations of the trip for Michael and Phyllis is that there never seems to have been overt antisemitism in Cuba. “Fidel never even knew our guy was Jewish, until he attended a Chanukah celebration at one of the synagogues where one of the members mentioned that his bodyguard was a synagogue member,” Michael remarked. Also noteworthy is the fact that the young people are allowed to make aliyah, when almost no one else is allowed exit visas. Federation invites you to participate in a mission trip to Vienna, Budapest and Israel, with mission chairs Anita and Arnold Silber, from Oct. 11-22, 2015. Visit the Israel and Overseas Experiences page on Federation’s website (jewishvancouver.com) for more information about opportunities to visit Israel and experience Jewish life in communities around the world. You can also donate to this year’s campaign via the website. – This article was originally published in eYachad, and is reprinted with permission.